Holy Week is a week that celebrates and remembers the events of the Passover in Jerusalem, where Jesus was arrested, crucified, and rose from the grave. The week is filled with special worship services and experiences to help us grow closer to God and the meaning of Jesus’ death and resurrection. We invite you to join us at Ogden Memorial throughout Holy Week, this year, as we celebrate that Jesus is alive today! Below you will find a schedule and brief explanation of what to expect at this each worship service. For more information, we invite you to call 270-365-3528. Palm Sunday Worship, April 14, 10 a.m.
Palm Sunday begins Holy Week. It is always the Sunday before Easter and focuses on Jesus’ entry into Jerusalem for the Passover celebration. Palm Sunday is also known as Passion Sunday, especially if the day will focus on the entire story of what took place in Jerusalem. Our worship will include special music and the waving of palm branches. In Jesus’ time, palm branches were laid on a road as an act of homage to one who is seen as a royal. To wave palm branches on this day reminds us that Jesus is our true Lord. Stations of the Cross, April 18, 3-7 p.m.
On Maundy Thursday, also known as Holy Thursday, we remember Jesus’ last meal with his disciples. The last meal was the Passover celebration, which called to mind the meal the people of Israel ate before leaving Egypt, in Exodus, to remember God’s provision and protection. Jesus’ last supper, today, is celebrated through the sacrament of communion. The meal reminds us of Jesus’ life and calls us to be transformed by God’s presence.. This year, our Maundy Thursday activities will focus on an intentional and open time of prayer. Our sanctuary will be open from 3-7 p.m., and will feature prayer stations that will focus on different moments during Jesus’ final hours before his death. Rev. Shannon Blosser will be available throughout that time of prayer or deeper conversations. On Good Friday, Christians around the world remember the death of Jesus Christ on the cross. It is one of the most important days of the Christian faith, as we reflect on the meaning of Jesus’ death and what it tells us today. Our worship service will include reflective music, prayers, and communion. Each aspect will seek to draw us closer to the cross and call us into a time of reflection throughout the weekend. Community Easter Sunrise Worship, April 21, 7 a.m. The Sunrise worship is a traditional act of reflection that calls upon how Mary Magdalene and other women went to Jesus’ tomb early in the morning and found it empty. The Caldwell County Ministerial Association, each year, invites the community to come together for a time of worship and reflection on Easter morning. This year’s Sunrise Worship will be at Ogden Memorial’s green space beginning at 7 a.m. It will be moved indoors if the temperature is below 50 degrees. 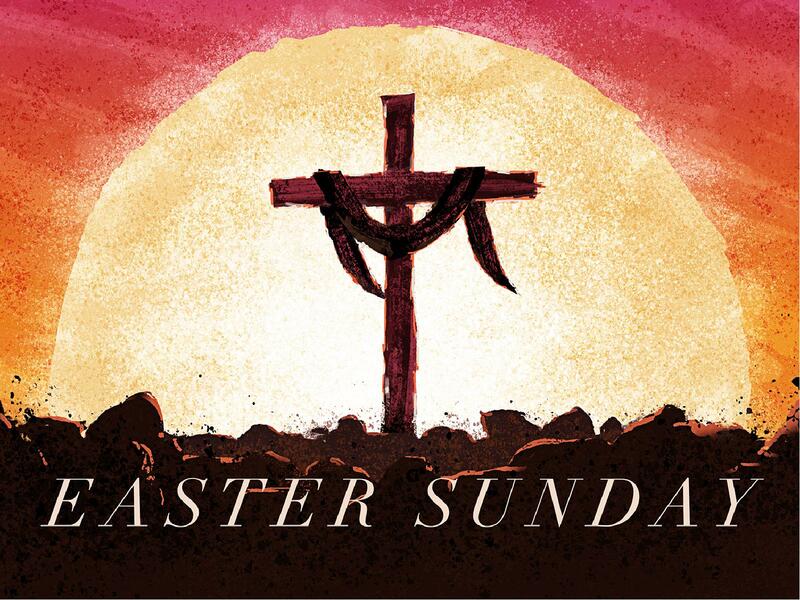 Easter Morning Worship, April 21, 10 a.m.
Easter is one of the two most important days in the Christian faith. It celebrates the hope of the resurrection and the promise that God is doing something new in the world. The Easter worship is a joyous time of praise and celebration that Jesus is alive. Our worship service will include special music and communion.